On January 10, 2018, the Sag Harbor Partnership Inc., a not-for-profit corporation seeking to purchase and rebuild the Sag Harbor Cinema, which was destroyed in a tragic fire in December of 2016, closed on the purchase of the cinema property. To do that, the corporation had raised almost $8 million through commitments large and small. It continues its fundraising efforts to raise the additional $6 million to complete the proposed reconstruction. Christopher Kelley, a partner at Twomey Latham, has served as the pro-bono land use counsel to process the cinema’s permit applications to allow for reconstruction. 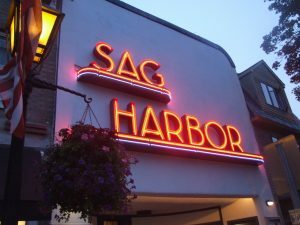 He has been working with the Planning Board, Architectural Review Board and Zoning Board of Appeals of the Village of Sag Harbor in the hopes of gaining a building permit sometime this winter to bring back the iconic theater as a venue for independent and foreign movies but also as a cinema arts center promoting education and the film making arts. The firm has also pledged a $10,000.00 donation. This is but one instance of Twomey, Latham’s commitment to the community and to preserving our cultural heritage.